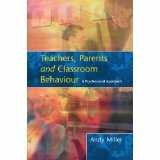 Andy Miller’s main interest as an educational psychologist lies in working with schools and parents when students are deemed to be ‘challenging’ or ‘difficult to manage’. In his book ‘Teachers, Parents and Classroom Behaviour. 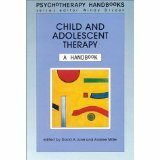 A Psychosocial Approach‘ he describes his and other’s research into what makes for successful outcomes for all parties in such circumstances. Media, political and professional rhetoric gravitate almost inevitably towards the sensational and the pessimistic. Morale in schools can then be further undermined by the relentless bombardment of criticism and bad news. 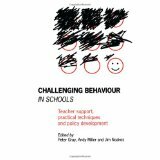 The major practical lesson to emerge is that teachers and other education professionals are able to bring about positive changes in the behaviour of some of their most difficult pupils …. 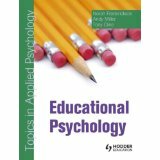 Much of the book, however, counters the simplistic assumption that teachers can therefore be left to manage alone and unaided … (The book has) detailed the subtle and potentially delicate pyschosocial processes within a school, and between home and school, which may need to be addressed before these positive outcomes can be achieved (page 191). In this video, originally filmed for Teachers TV, Andy discusses with others the contribution of psychological theory and practice to improving the educational experiences of some of the most difficult to manage young people in schools.